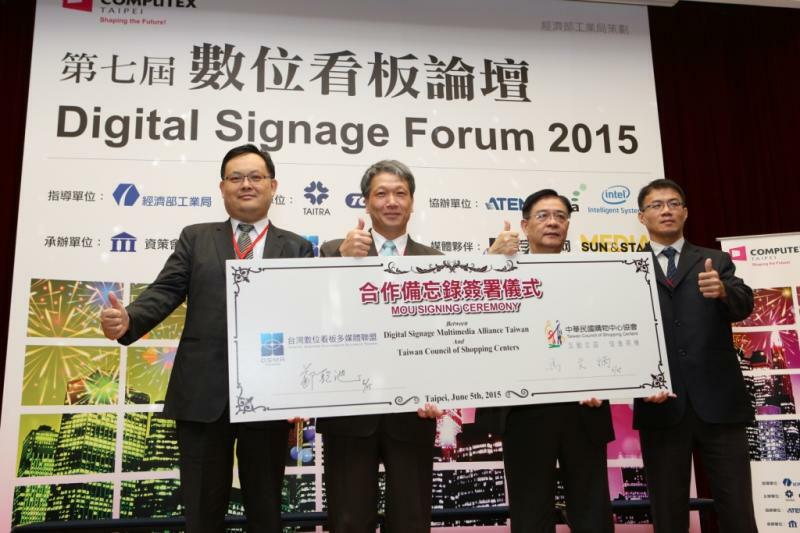 Officially established on November, 2008, the Digital Signage Special Interest Group (DS SIG) is a private organization comprised of voluntary manufacturers with the goal to develop and enhance the competitiveness of the ICT hardware and software, system integration and R&D industries. It is supported by the Industrial Development Bureau, Ministry of Economic Affairs (IDB) and promoted by the Institute for Information Industry (III). 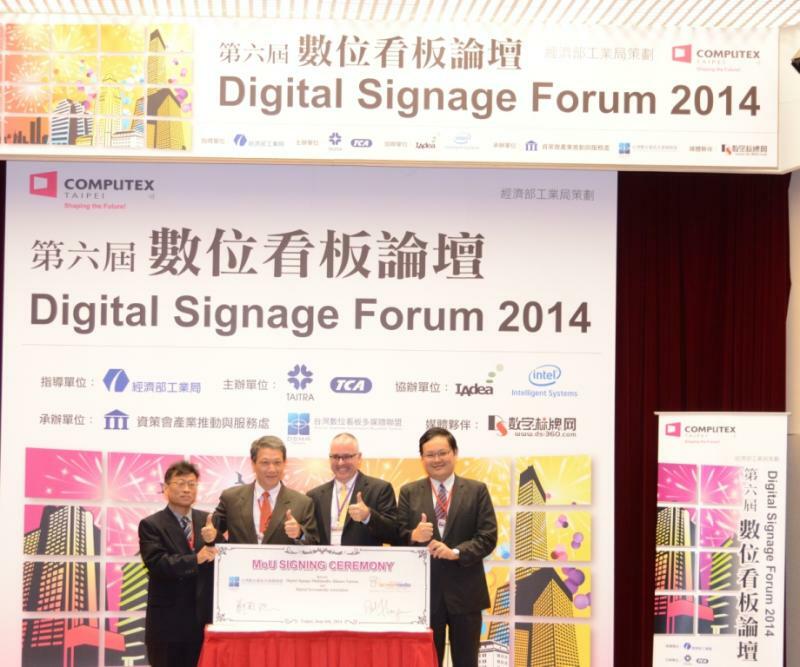 Due to policy transformation led by IDB, on March, 2012, DS SIG has changed its title to Digital Signage Multimedia Alliance Taiwan (DSMA Taiwan) for the purposes of forming a much more flexible organization that brings together businesses form varied backgrounds and to effectively expand the industry value chain. 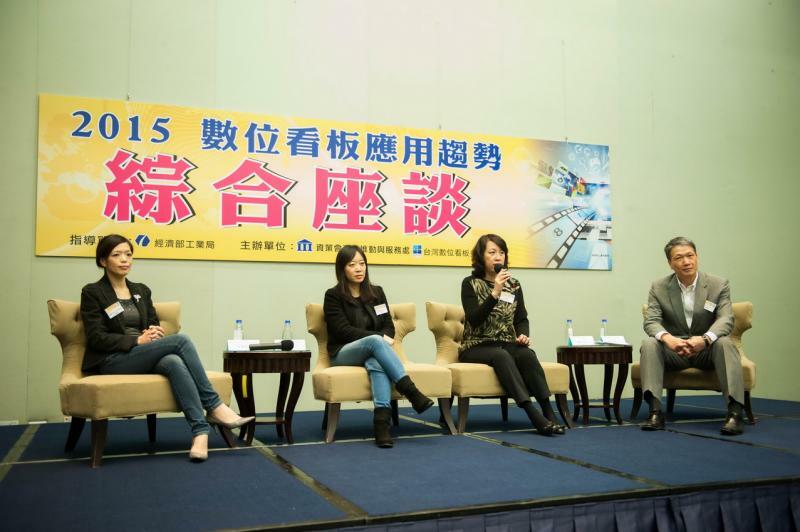 To assist business collaboration within the digital signage industry and boost international competitiveness. With our collaboration platform, we encourage inter-industry cooperation among professionals from panel, display, industrial PC, digital content, system integration, advertising and media backgrounds and more. The goal is to develop new products, new technology and innovative application services, and assist the industry’s knowledge of development trends in international standards in effort to make the global market a final sales target. Total membership：Currently over 200 companies. DSMA Taiwan is divided into 4 groups based on different industry chains: Hardware Development Team, International Affairs & Standards Team, Content application Service Team, and Application & Promotion Team. CEO of NOVA media, Mr. Nick Jane, serves as our chairman, CEO of IAdea Corporation, Mr. John Wang, serves as our vice-chairman.